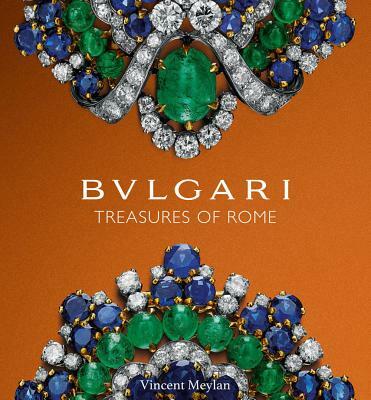 -Compiled with full access to Bulgari's archives A jewel is more than an arrangement of precious stones - it is a story. This is the principle on which Vincent Meylan, author of Christie's: The Jewellery Archives Revealed, Boucheron: The Secret Archives, Van Cleef & Arpels: Treasures and Legends, and Mellerio: Jewellers to the Queens of Europe, has written his latest book. Now, with unparalleled access to the Bulgari archives, Meylan guides us on an intimate journey through the lives of the clients, both famous and infamous, who have given this pre-eminent Mediterranean jeweler their patronage. Paris may be the traditional home of the jeweller elite, but Bulgari embraces its Roman origins. From their early creations, inspired by Byzantine and Islamic architecture, to designs like the Trombino ring and Serpenti bracelets, which are still relevant today, Bulgari gracefully navigates the line between contemporary and timeless. Their client roster reflects their prestige. Nobility and celebrity intermingle; the Countess di Frasso shopped at Bulgari with her Hollywood superstar-beau, Gary Cooper, as did the Infanta Beatriz of Spain and Princess Maria Jos of Belgium. Richard Burton wooed Elizabeth Taylor with glittering Bulgari jewels, while the decadent marriage of Tyrone Power and Linda Christian featured Bulgari wedding rings. But these jewels tell tales of many genres, not just romance: from exiled Iranian Shahs to Count Cini of Monselice, held for ransom by the SS and released in exchange for Bulgari jewels. Each story is retold with Vincent Meylan's characteristic verve, embellished with original pictures from the archives. Chapters are dedicated to wealthy customers, but also to the stones themselves, tracing the evolution of this iconic Roman company through history, and the development of their jewelry from mine, to workshop, to model. Vincent Meylan writes the history and royalty pages for the French women's weekly Point de Vue. He is also a specialist in precious stones and in haute joaillerie, and the author of several biographies and works on the history of precious stones, including Queens' Jewels (Assouline, 2005), Boucheron: The Secret Archives (ACC, 2011), Van Cleef & Arpels: Treasures and Legends (ACC, 2014) and Christie's: The Jewellery Archives Revealed (ACC 2016).